Since 1966, Catherine Mahoney has been creating impressions of "Colorful Light" in pencil drawings, batiks, watercolors, pastels, oils and photos of Mid-Missouri subjects and world wide locales. She is the illustrater of the new children's book, Daisy & Digger, which contains over 20 images of Mahoney's paintings. Her creations can be found in both private and corporate collections from the USA to South Africa. See more of Catherine's artwork on her website. 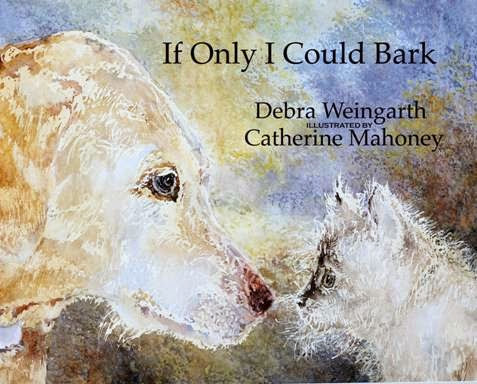 If Only I Could Bark is a character-building, children's book, written by Debra Weingarth. Read the true story of how a kitten becomes part of the family. The book is written in "sharable texts' and features full-color, edge-to-edge watercolor illustrations by Catherine Mahoney. Daisy and Digger is a story about two puppies who learn how great it is to share with each other. The illustrations were created by Catherine from a series of watercolor paintings. The book is brimming with full page watercolor paintings. 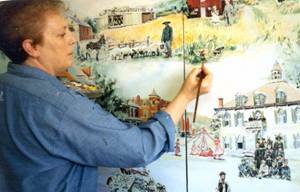 The paintings were inspired by people and places in Missouri, particularly Hermann where both the author, Kathy Meyer, and the illustrator Catherine Mahoney, both reside. 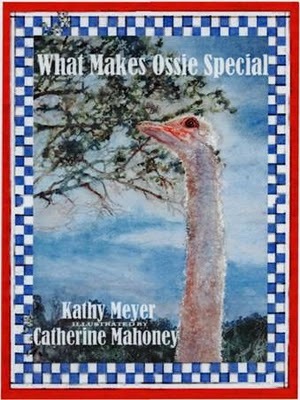 What Makes Ossie Special is a touching story about an Ostrich who finally learns why she is special and different from all the other birds she knows. The illustrations were created by Catherine from a series of watercolor paintings. The book is brimming with full page watercolor paintings. The story is inspired by one of many stories the author told her children when they were young. Featured Artist Exhibition at framations Art Gallery. Enjoy!